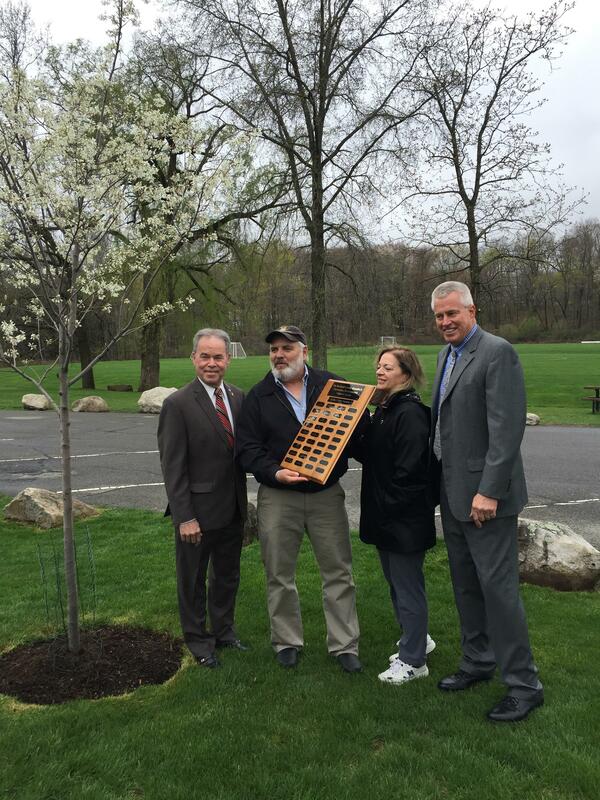 PRESS RELEASE– County Executive Ed Day last week dedicated a serviceberry tree at Kennedy-Dells County Park in honor of Suffern resident John LaPlaca, recipient of this year’s County Executive’s Outstanding Environmental Volunteer Award. For the past 25 years, LaPlaca has been cleaning up Rockland County. His first cleanups started when he was a Boy Scout and continued until he was Scout Master. Last year, he collected 1,000 bags of trash from Rockland’s roadways and parks. That marked the 19th year in a row he collected 1,000 bags in a single year. Keep Rockland Beautiful has been tracking LaPlaca’s efforts for many years. He continues to provide tips about the status of troublesome sites, illegal dumping, and where to best send volunteers. John LaPlaca’s name will be added to a plaque featuring previous environmental award recipients dating back to the first award given back in 1998. The plaque is displayed in the County Executive’s Office.